Correct. As a goalkeeper myself there's just so many errors to pick up on. Wildsmith has performed admirably but has been prone to drop the odd clanger. I can think 4 now in this recent run of games he's had. In my opinion, sticking him in front of the cameras after getting player of the month should never have happened. Protect young players!! Dont send them into the limelight. The next game after that Press Conference was Birmingham at home. The sooner Westwood is back the better. The wall was so badly positioned two more yards to the right at least and another player in there and Joe shouldn't have been off his line.. I think he was expecting a cross to be honest and was caught very flat footed.. he took a step forward expecting the ball into the 6 yard line area..
Wall set up to defend near post, so Wildsmith has the far post and central. His feet are grounded and he's too advanced. Poor Keeping ! on the end of the wall moving out to create more space. 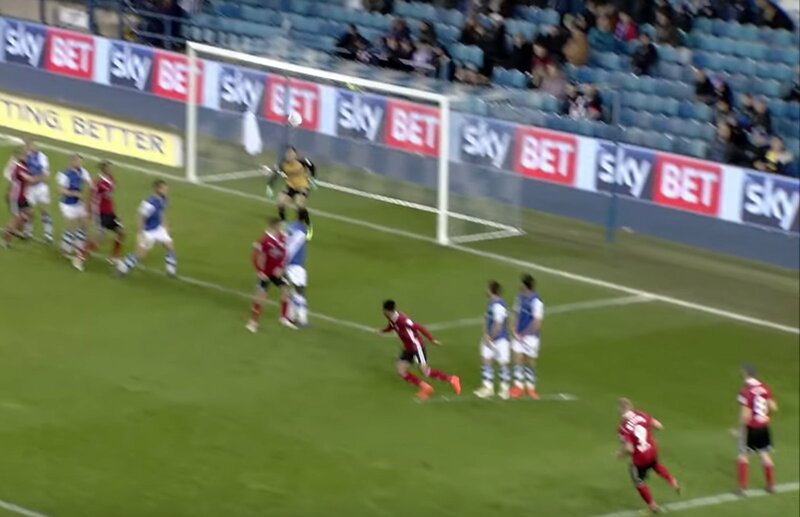 2 yards to the right and another Wednesday player in the wall and Waghorn wouldn't have tried it. We need to stick with Wildsmith, he's young and will make errors. Harry Maguire made errors at the pigs, John Stones made errors with Barnsley. We can't just call for youngsters to be dropped when mistakes happen. Joe Wildsmith has shown tremendous potential and will learn form Mistakes. 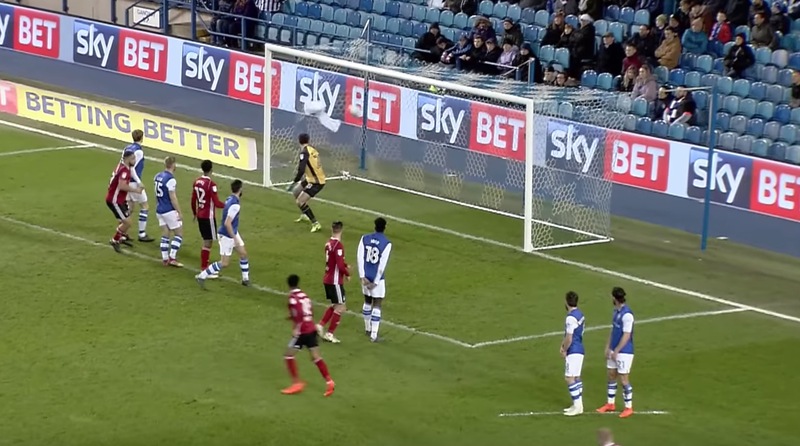 Westwood is the best keeper I've seen at Hillsborough, but we need to develop our keeper for possibly the next 15 years and potentially sell Westwood for a decent fee. Westwood also deserves another crack at the premier league and sadly that will not happen here. At the same time Wildsmith is only a youngster. If Loovens contributed anything last night it was to make Wildsmith a nervous young man, he should at the very least have taken some organisational responsibility but he too was totally lost. 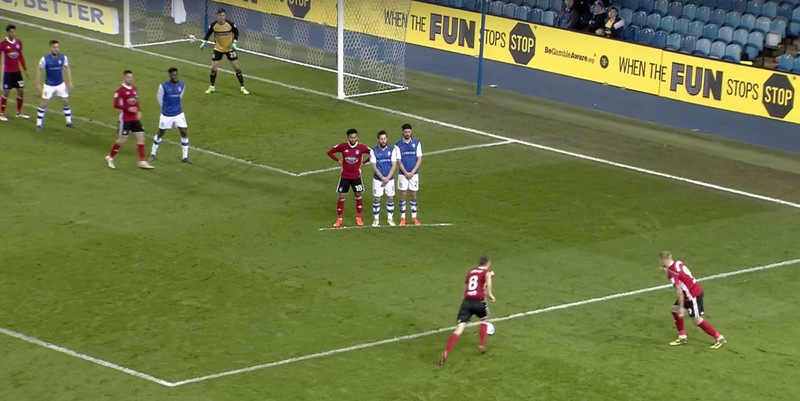 TBF it was a good free kick (wish we did a few of them), but Wildsmith should have had it covered especially with the wall how it was. Clearly too far off the line. I think most people in the stadium knew where he was going to try and put it. I realise Wildsmith has to cover other scenarios but he should really have been better placed to deal with the far post shot. 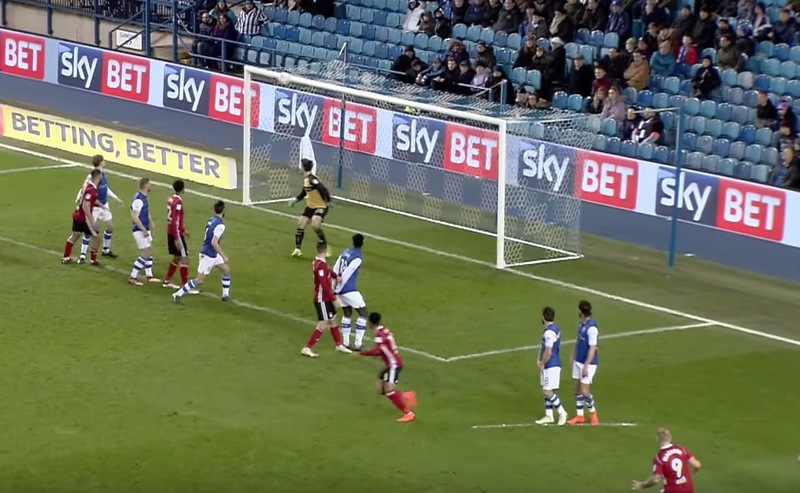 From that position with a 2 man wall you need to have a man on one of the posts leaving the keeper to cover the other. He's so far away from the ball it's embarrassing. No need to be off the line. Far post neglected. Easier to come forward for the ball than go back. Wildsmith was very robot esk for that free kick. I felt embarassed when it went straight in.